The Affair of the Sonic Weapons Attack continues to percolate away in the back burner while the chattering classes' attention is focused on momentarily more fashionable events. That distraction provides a space within which scientists in the U.S. can continue to develop ideas about what might have caused injury. A recent higher profile report by two scientists, Kevin Fu, a computer scientist at the University of Michigan, his frequent collaborator, Wenyuan Xu, a professor at Zhejiang University, in Hangzhou, China, and her Ph.D. student Chen Yanand, suggest yet another explanation for the sonic attacks--not as attacks but intermodulation distortion, as an unfortunate consequence of a cocktail of sonic devices with cross purposes (Kevin Fu, Wenyuan Xu, and Chen Yan, “On Cuba, Diplomats, Ultrasound, and Intermodulation Distortion,” IEEE Spectrum (March 2018) available on the Security and Privacy Group’s website [PDF]). The theory has yet to be discussed by the scientific community (at least in public). Some questions remain worth thinking about. First, while U.S. (and it appears Chinese) scientists continue to work on the issue, one hears nothing from Cuba and its scientists. 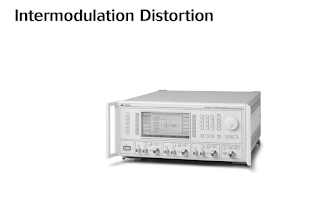 Second, intermodulation distortion is traditionally understood as an unfortunate and unwanted effect of unwanted additional signals when two or more signals interact. That is true enough and well known. Yet one can only wonder whether it is possible to weaponize such a phenomenon. If someone understands what happens when certaion signals are mixed, can one deliberately create certain intermodulation distortions deliberately in a targeted way? Thus, while it is possible to suggest that "bad engineering" caused the injury, it might also be possible to suggest that a good knowledge of the effects produced by certain cocktails could be quite "good engineering" if instead the object was to cause injury. The science can provide the answer to "how" but it cannot help us understand either intention or objective. For that a different forensics will be in order. All of this remains to be determined, of course. But it does appear that the Affair continues to present interesting problems for resolution. Portions of recent reporting follows. Last August, reports emerged that U.S. and Canadian diplomats in Cuba had suffered a host of mysterious ailments. Speculation soon arose that a high-frequency sonic weapon was to blame. Acoustics experts, however, were quick to point out the unlikeliness of such an attack. Among other things, ultrasonic frequencies—from 20 to 200 kilohertz—don’t propagate well in air and don’t cause the ear pain, headache, dizziness, and other symptoms reported in Cuba. Also, some victims recalled hearing high-pitched sounds, whereas ultrasound is inaudible to humans. The mystery deepened in October, when the Associated Press (AP) released a 6-second audio clip, reportedly a recording of what U.S. embassy staff heard. The chirping tones, centered around 7 kHz, were indeed audible, but they didn’t suggest any kind of weapon. One thing the investigation didn’t explore was whether the AP audio could have produced the wide range of symptoms, including brain damage, that afflicted embassy workers. “We know that audible signals can cause pain, but we didn’t look at the physiological effects beyond that,” Fu says. At press time, the FBI had yet to announce the results of its investigation. A panel of Cuban scientists and medical doctors, meanwhile, concluded that a “collective psychogenic disorder” brought on by stress may have been at work. Editor’s note: An article by Kevin Fu, Wenyuan Xu, and Chen Yan about their research will be published by IEEE Spectrum in March. 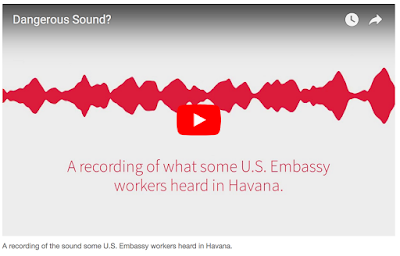 Their technical report, “On Cuba, Diplomats, Ultrasound, and Intermodulation Distortion,” is available on the Security and Privacy Group’s website [PDF]. 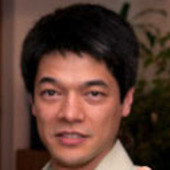 Kevin Fu receives funding from the National Science Foundation CNS-1330142. He is affiliated with the Computing Research Association’s Computing Community Consortium (CCC). The views and conclusions contained in this paper are those of the authors and should not be interpreted as necessarily representing the official policies, either expressed or implied, of NSF. Wenyuan Xu does not work for, consult, own shares in or receive funding from any company or organization that would benefit from this article, and has disclosed no relevant affiliations beyond their academic appointment.